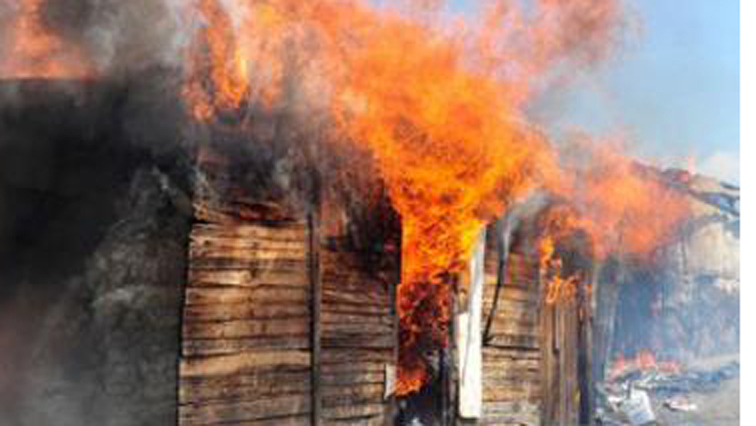 Rescue efforts are underway in Alexandra north of Johannesburg after several shacks caught fire on Tuesday afternoon. Firefighters have been deployed to the scene. No fatalities have been reported but investigations are underway into the cause of the fire. “On arrival, we found the shacks to be well alight. A number of shacks have been affected; we have three fire engines on scene. Fortunately, there are no injuries or fatalities reported. The cause of the fire will be determined after we’re done with fire fighting,” says Emergency Services Spokesperson, Nana Radebe. Meanwhile, more than 50 structures have been destroyed and over 200 people left displaced after a fire in Overcome Heights in Lavender Hill on the Cape Flats. One fire-fighter suffered heat exhaustion and dehydration. No other injuries were reported. The cause of the fire is unknown. Disaster management spokesperson, Charlotte Powell explains. In Durban, a blazing house fire in Umbilo has resulted in one person being seriously injured. The eThekwini Fire Department and emergency personnel are currently on the scene trying to put out the fire that has engulfed parts of the residential property. The cause of the fire remains unknown at this stage. “Rescue Care are currently on scene, Dan Pienaar Road, Umbilo area where a house is well alight. Multiple fire attenders are in attendance. Paramedics are treating a seriously injured patient who has suffered burns. No other injuries have been reported,” says Spokesperson for Rescue Care paramedics, Garrieth Jamieson. Rescue efforts are underway in Alexandra north of Johannesburg after several shacks caught fire this afternoon. Fire fighters have been deployed to the scene. No fatalities have been reported but investigations are underway into the cause of the fire. The post Rescue efforts underway in Alexandra after shacks fire appeared first on SABC News – Breaking news, special reports, world, business, sport coverage of all South African current events. Africa's news leader..